A true west end phenomenon! 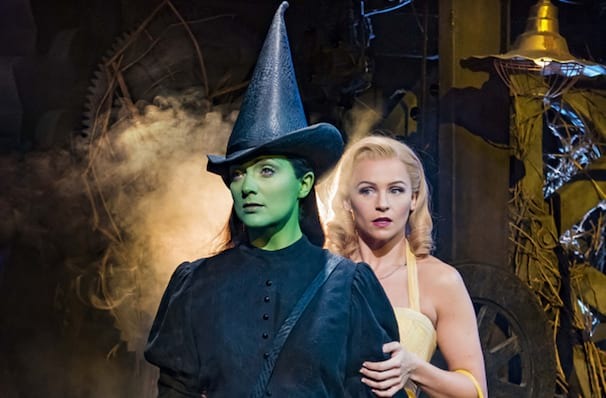 Direct from Broadway, Wicked is still the must-see of London's Theatreland, that made stars of its two original leads, Kristen Chenoweth and Idina Menzel, and got little girls (plus bigger ones) begging to paint themselves in head-to-toe green! Gregory Maguire's best-selling novel provides a rich and subversive prequel to Frank L Baum's original tale. 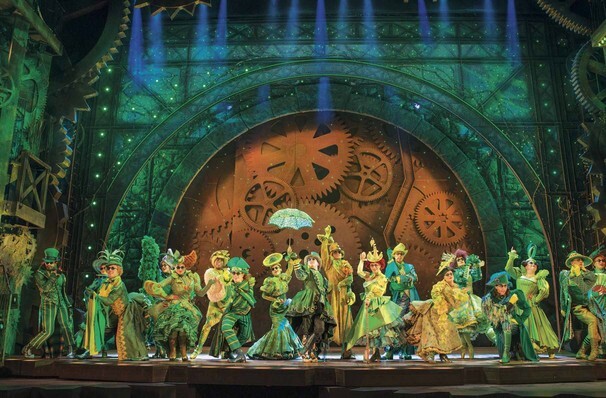 Heart-achingly glamorous, tragic and with more than a few comedic moments for the adults, this musical transports audiences to an Oz not seen in previous incarnations. Spectacular fantasy, wizardry, witchcraft, boarding school, teenage romance and the lust for popularity, all combine in this coming-of-age tale. Take your mother, your friends, your sister - even your brother - to see this; this show entails all that is important about friendship and family without the saccharine, however unlikely and imperfect they may be. Did you always think that the Wicked Witch of the East, and Glinda The Good were lifelong enemies? You'd be wrong! 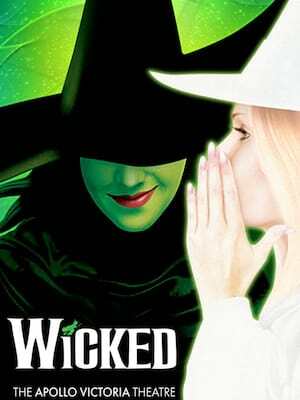 After a disastrous meeting at magical academy, an extraordinary friendship forms between two girls who couldn't be any more different: blonde and ditzy Glinda, and the misunderstood nerdy green girl, Elphaba. 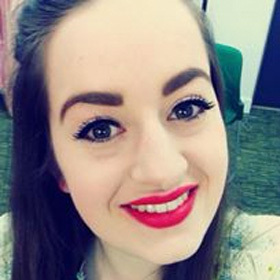 Rejected by her family for her emerald skin tone and blamed for her younger sister's disability, Elphaba is expected to follow on in her cold father's role as mayor - but she has other plans. Plans that could change the lives of all Oz inhabitants forever. 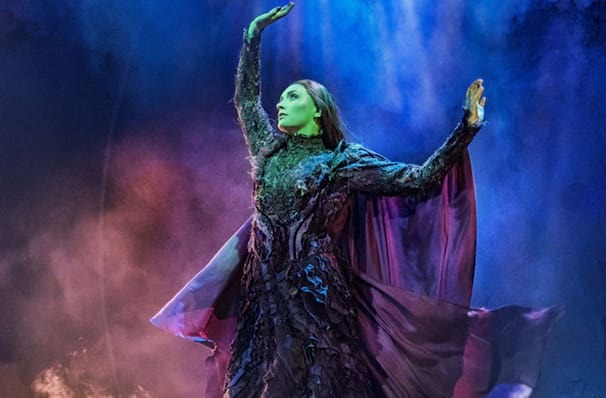 Elphaba's perfectly blended green foundation is made specially for the show by sponsored cosmetic company MAC. The product, MAC PRO Chromacake Landscape Green, however isn't available to buy anywhere for that reason. Boo. Wicked is recommended age for children is 8 years and up. There is nothing of a vulgar or sexual nature, but there are adult themes. Children under 4 years of age will not be admitted. 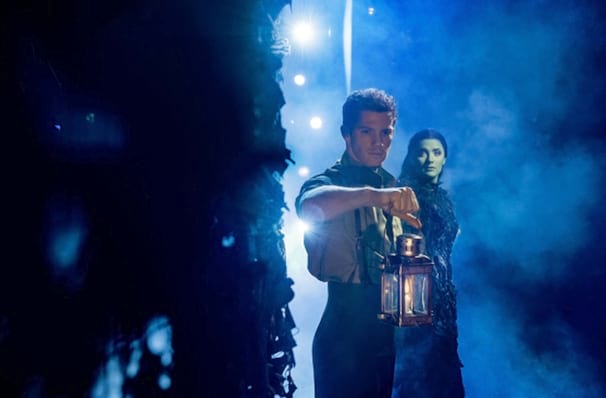 Judging from the standing ovation given at the end of the show and the throngs of emerald fans disappearing daily through those emerald doors, Wicked's spell shows no sign of abating. Sound good to you? 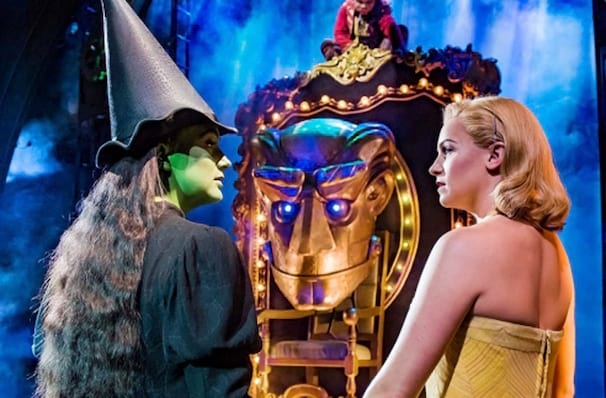 Share this page on social media and let your friends know about Wicked at Apollo Victoria Theatre. Please note: The term Apollo Victoria Theatre and/or Wicked as well as all associated graphics, logos, and/or other trademarks, tradenames or copyrights are the property of the Apollo Victoria Theatre and/or Wicked and are used herein for factual descriptive purposes only. We are in no way associated with or authorized by the Apollo Victoria Theatre and/or Wicked and neither that entity nor any of its affiliates have licensed or endorsed us to sell tickets, goods and or services in conjunction with their events.